For the past couple of years, I've taken part in the 30 Days of Lists Project. It's a fun way of "forcing yourself" to journal every day for a month, and you can spend as little or as much time as your schedule allows on each day's list. Here are all of my previous lists, in case you're curious. For this upcoming third go-round, which begins March 1, I've decided to be a sponsor! As part of the sponsorship, I have taken part in an affiliate program which earns me a small bit of the profits for anyone who signs up using my link (by clicking the image below, or the one in the sidebar). If you're interested in joining, do! It's a really fun project. And let me know if you're taking part, regardless of whether you joined because I prompted it. I want to keep an eye out for your lists. I'm so gutted it's next month - I really wanted to take part, but as I'll be travelling for the whole month I'll already be over-documenting life! Looking forward to seeing your lists. 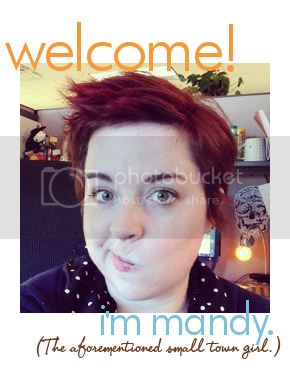 Hi Mandy! 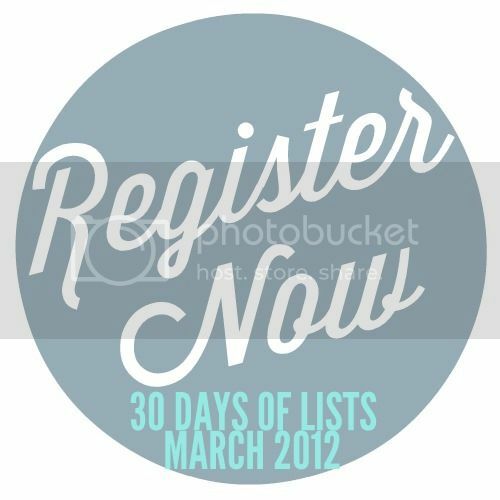 I just signed up for the 30 Days of Lists and am now cruising through other participants blogs to say hello! Your blog is adorable (love your tagline). Looking forward to the project! Welcome to C&CC, Callie! Thank you for stopping by and for the sweet words. I look forward to seeing your lists!